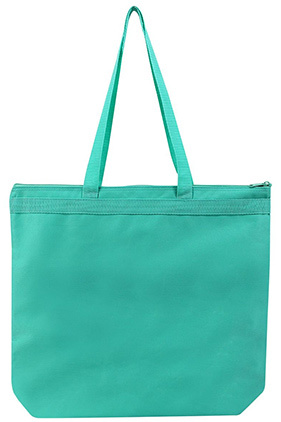 600 denier polyester large zippered tote with gusset at bottom. Made from 50% recycled polyester. Durable webbing with reinforced top. 28" color matched handles.